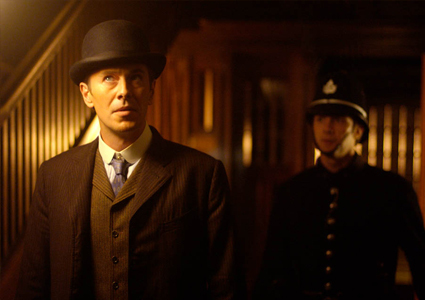 Set at the turn of the 20th Century in Victorian Toronto, when forensic science was in its infancy, Under The Dragon’s Tail follows Detective William Murdoch (Peter Outerbridge) as he investigates the murder of a back-street abortionist, Dolly Shaw. The list of suspects is long since Dolly kept a log of her clients, all of whom have their own personal reasons to fear the divulgence of their indiscretions. 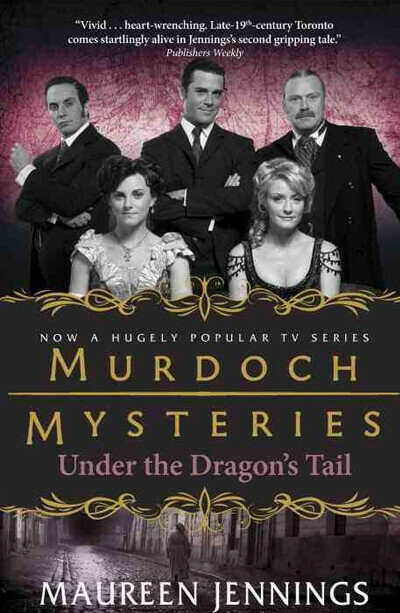 Dolly’s murder is no surprise, but when a young boy, a ward of Dolly’s, is found dead a week later, Murdoch starts to wonder if he’s hunting for one murderer or two. Detective Murdoch’s search takes him into the music halls and chic Rosedale mansions of Victorian Toronto, but when he’s lured by the temptress Ettie Weston (Flora Montgomery), Murdoch has to decide if the beautiful woman is a saint or a sinner.